All parents with toddlers will know the pain. 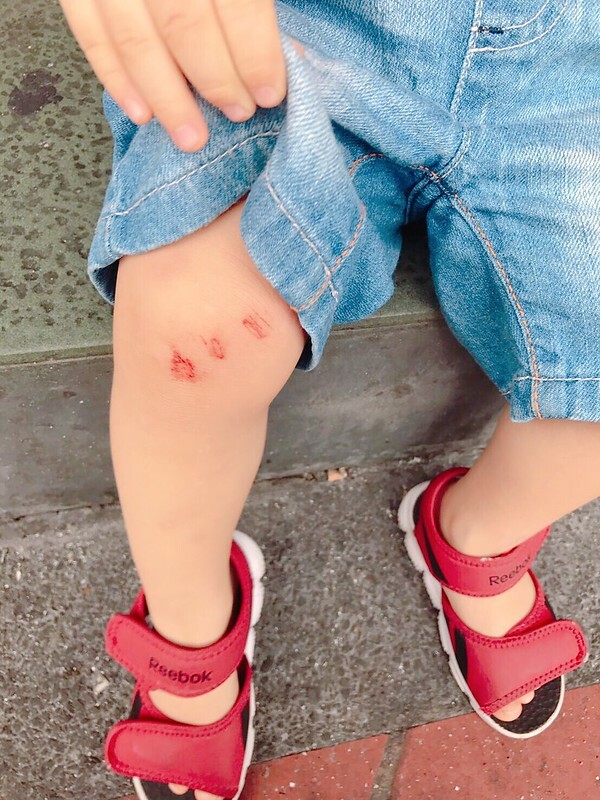 The pain when your toddlers fall down, knock into things, get scratched… the headache when you see them hurt… and we can’t help it because it is a natural process as they grow. This happens so often that I’m stocking up bandages in our home. Don’t you wish there’s a plaster that won’t hurt at all when you peel it off? 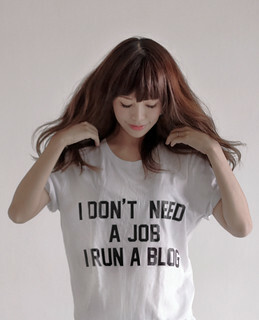 Yeap now our wishes have come true. 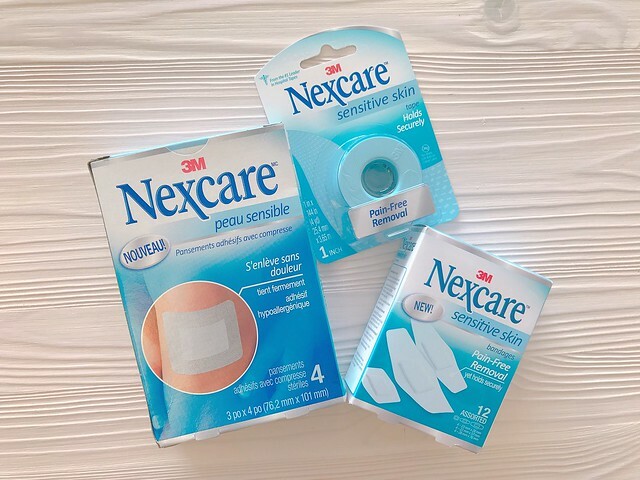 The 3M Nexcare Sensitive Skin wound care series gives you pain-free removal! The 12 assorted pack is especially useful because it comes in many different sizes so you don’t have to buy many boxes. 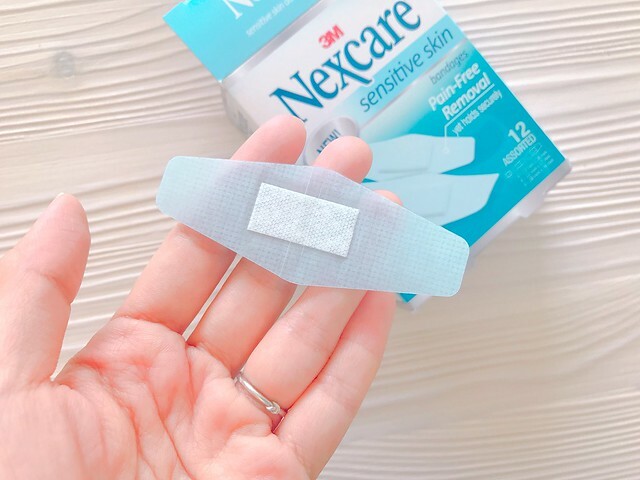 How is Nexcare different from traditional bandages? 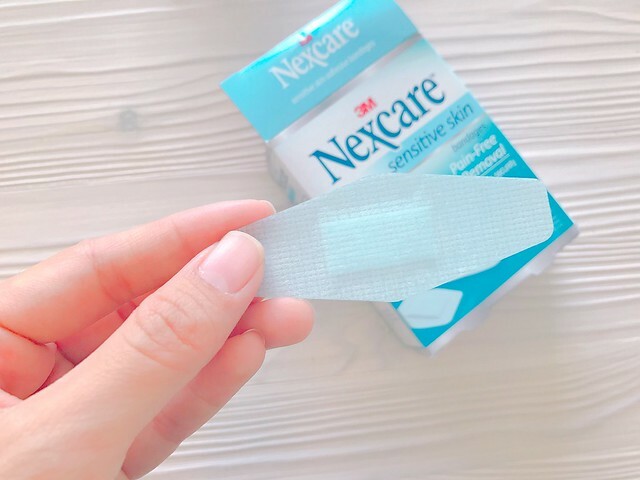 For regular plasters or bandages adhesive, the force of removing the tape is experienced in the skin. 3M Sensitive skin silicone adhesive allows the force of removal to be experienced in the adhesive, which also means pain-free removal! 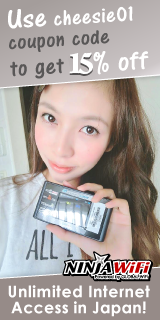 I saw one of their demo video on how gentle the removal was, but I wanted to find out myself. 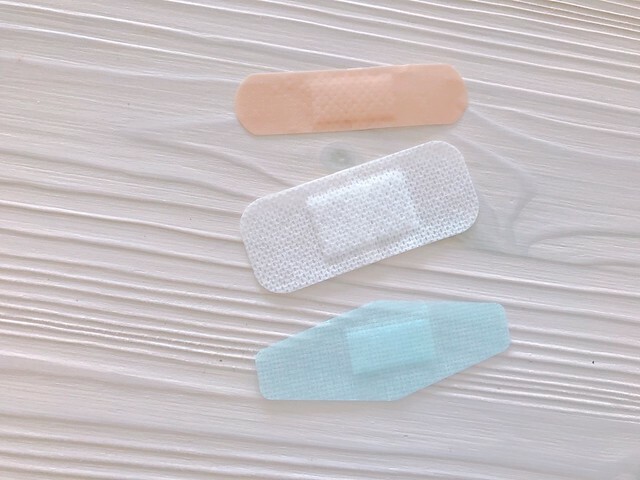 So I prepared 3 different types of plasters. 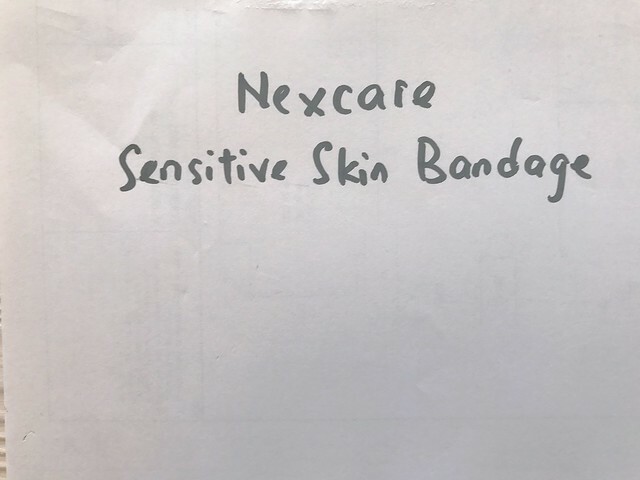 Beige one is a regular plaster from another brand, the white one is a sensitive skin plaster of the same brand, and the blue one is Nexcare Sensitive Skin plaster. Now I am going to stick all of them on a piece of paper and then peel them off one by one. Saw that?? I was very shocked that the so-called sensitive skin plaster (white color) did the most damage on the paper. I literally had to use force to pull it off! Imagine how much your skin will hurt! 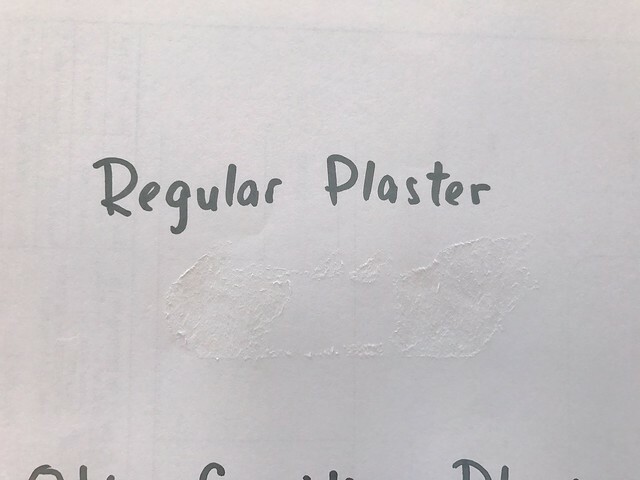 Part of the paper was torn with the pull of the regular plaster. 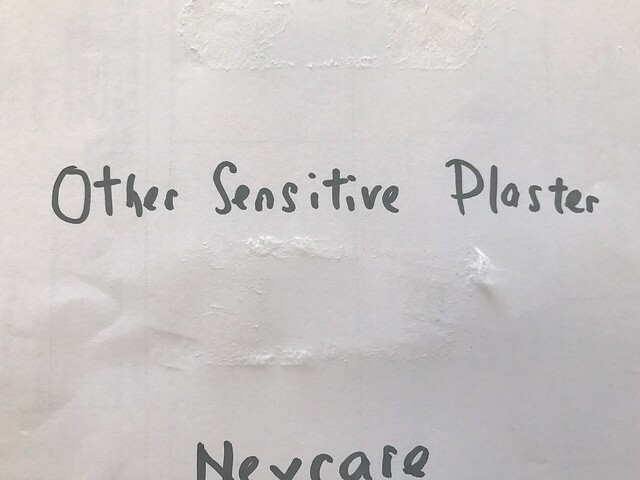 Same for the sensitive plaster. Also, I hate it that plasters will leave a sticky feel on your skin. This one left some of its adhesive residue on the paper. Absolutely smooth and perfect like before. 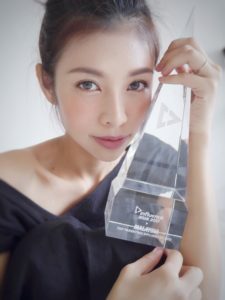 There are 1,000 samples to be given away! First 1,000 people who LIKE 3M Nexcare page, share Nexcare’s post and successfully fill up a simple form will get the samples for free! 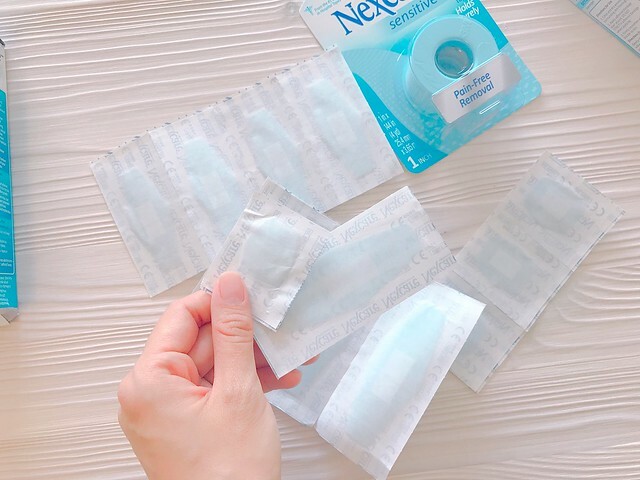 You may also purchase Nexcare sensitive skin range of products with the promo code “NEXCARE5” to get additional 5% discount on top of what is offered on LAZADA. Limited time only! 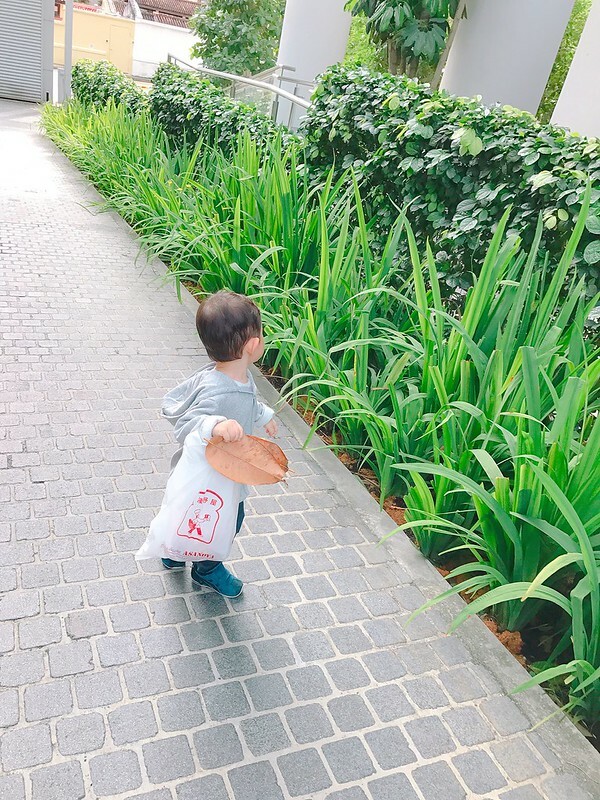 From 31 Jan – 31 Mar. 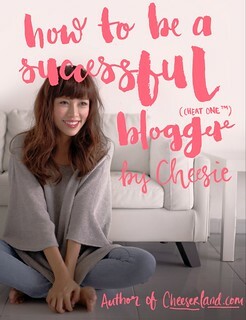 You may also find them in selected Guardian, Watsons and Unity outlets.